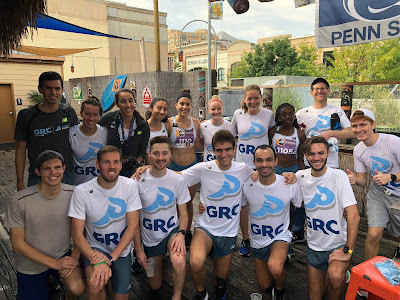 It seems as though the vast majority of GRCers ran down Wilson Boulevard at least once on Saturday, with several running down it twice. Isn't Clarendon Day a hoot? In outside action, TK4 took home the W at the Run! Geek! Run! 5k in 16:16, leaving behind several nerds wearing glasses in the process. Weekend Recap: Do two halves make a whole? Explosive New Book: RUN (and Hide)! Weekend Results: ZAK ATTACKED EDITION!